One vendor has this plant for sale.38 members have or want this plant for trade. Raleigh N.Carolina. I bought 3" pot at a plant sale 4 years ago. They called it "Parrot Lily". Not the varieagated one. Colonized slowly for me, with tuberous root and seed pods that burst. Hummingbirds love it. This summer I am attempting to knock it back to a managable spread. I am a little worried about removing it from under shrubs as the tubers snap off easily when pulled, and they go deep. After flowering it disappears, then comes back for a second late summer rebloom. I hate using "round up" but it may be the only way to contain this lovely red-headed nasty. It does make me itch, not as bad as poison ivy. when I write my gardening book entitled Plants I Wish I Never Grew, it will earn a chapter. Naughty, naughty little pretty face. This is a vigorous plant that can be invasive. If well contained, it is fairly maintenance free with lovely red flowers. This is a SPECIES alstroemeria/parrotlily. As with other parrotlilies, tubers are tender with fragile & brittle roots. Plants can be easily killed by rough handling. Transplant 6" deep in temperate - tropical zones, 8" in colder zones. 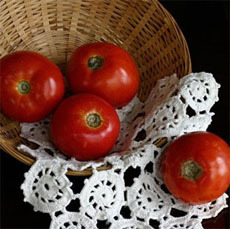 They prefer consistently moist, well-aerated soil. Winter chilling is required. Winter mulch in colder areas. The seed has a 20% germination rate. Soak seeds 12 hours before sowing. Sow while weather is still warm in in-direct sunlight. Germination is sporatic. Seedlings will continue popping up over a long period of time. Don't give up. They will not begin to germinate until temps. drop to 35-40*. Transplant carefully in 4-6 weeks. 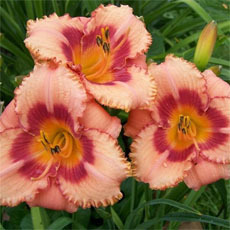 Parrotlilies can withstand drought, but will go dormant. Dorm... read moreancy also occurs when soil temps. rise above 70*. Basal foilage will return when weather cools and remains through warmer zone winters. 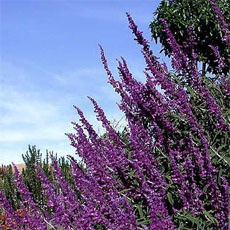 Blooms appear on 12-24" bloom stalks in early-late spring in warm climates & mid-late summer in cooler climates. Planted one in container last year and it never came back. Emptied pot and found roots all rotted. Love this plant and havent been able to find it anywhere. Live near houston, tx. Can anyone help? Dont know why it did this. It took awhile for the plant to get established in my new home. In my last home, a clay based rich soil well worked with humus, it grew from shallow tubers and did well, but was not hugely invassive at all. In my new home they are under a live Oak in leaf mulch on limestone rubble. They do not get waterered at all. They grow and bloom in the Spring and then disappear. Their tubers have migrated deep into the soil looking for moisture. It is a bit dry for them but they still come back and give me and the hummers spring time enjoyment and then I top dress them with compost and they go to bed. I've had this one for several years. It's tough, but hasn't been invasive (Z7). After reading the comments, though, I think I'll be careful where I move it too. I love the foliage and the flowers, which make great cut flowers. Mine are growing pretty much contained in one area, so far.These plants are selling for $17 and up for one (1) tuber!! I was told they came from South America originally. 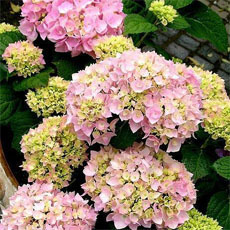 I rather like the look of them and intend to take some from my yard and put in containers. We have been fighting this plant for over 30 years. It had a base start when we moved here and was pretty so we left it. BIG mistake. It takes over and digging it up, using weed killer proves to be useless. Here along the Texas coast it seems to thrive and nothing kills it including drought. I have had this plant since about the first of May. It is in a pot and has bloomed consistently since then. I came on this site to research and find out how it will do over the Winter here in zone 6. I am going to take half of it indoors and plant half of it in the garden and will update whether it returns next Spring. I have this plant in dappled shade and it has done well for me. It has multiplied quickly, but has not become invasive. I plan on moving some of it to another area where it will be contained. looking for a parrot flower. i live in texas and cannot find one. This plant was given to me many years ago from a garden in southern Louisiana. Here in zone 7 it dies back every winter but has returned consistently. Does very well in partial shade, and since it is nipped back by cold, it's not invasive at all for me. It has reproduced just enough to share with others. It prefers moist conditions. During droughts it has disappeared. I love it's unusual coloring and the cut flowers are very long lasting. Grows to 3 feet. Looks great next to my blue hydrangea and different colored heucheras. A rare tall redhead in the shade! Extremely invasive, has killed a large area of my lawn. Have tried pre-emergents, broadleaf herbicides, digging up plants. No permanent solution yet. Maybe I'll get a goat. This plant blooms dependably in my garden in NE Florida (borderline Zone 8b/9a) in late May and remains in flower for a few weeks thereafter. It does SPREAD easily. I have seen a few spots where it has escaped into the wild, but it does not seem to have become invasive. As previously noted here, it seems to do best in dappled, partial shade. The leaves remain evergreen through the winter with no indication of frost nor freeze damage. I have so far confined it to two areas in my garden without it being a problem. I enjoy the bright green/subdued red color combination in the trumpet shaped flowers. In my zone, I have found that the Peruvian lily does not prosper in all day full sun. Last year, I planted them in large containers that I had to move around to find the spot that they liked. Mine have thrived in filtered shade under an oak tree where they receive brief full sunlight in the morniing and as the sun starts setting. They were not doing well this year because I had placed large plant specimens to the east and west that were blocking the full sunlight periods. I moved the large specimens, then the Peruvian lilies greened up and started to bloom. 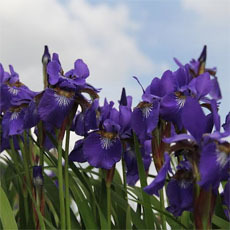 Some (planted in containers) are placed in a flowerbed that receives morning sun and afternoon filtered shade. They have not been invasive because they are container grown and I deadhead the plants so they are un... read moreable to spread by seeds. I have had to stake some plants when they start to bloom. The roots (tubers) are very brittle so when dividing clumps in spring or autumn do so carefully. In fact, dividing the clumps is not recommended. 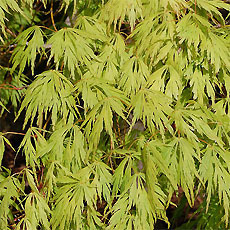 Note also that it is normal for some foliage to turn yellow. Note: This plant has naturalized in Louisiana and Mississippi. If you live in a warmer climate, DO NOT plant this unless you want to spend the rest of your life trying to eradicate it from your flowerbeds and lawn. It jumps sidewalks. I use roundup were I can. I have no problem here on the Gulf Coast growing the foliage, but rarely get any blooms. I am in zone 8, and this plant is extremely invasive..It spreads by tubers and seeds..Although I love it, and leave lots of it growing, I have to use Roundup to try and control it in areas where I don't want it to grow. I just discovered this plant and still have it in a pot. I am in zone 6 and think it should remain in a pot as it sounds tender. Mine is variagated. This plant GROWS. The parrot plant has a shallow tuber root system (looking like long peanuts), and it will spread. 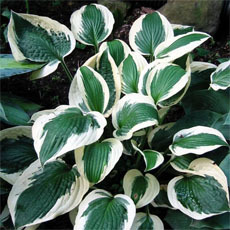 It will grow almost anywhere, and is a very good shade plant. It loves to be thined occasionally, and is good in pots as well as earth. 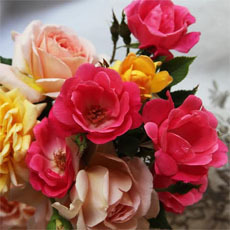 I use it often in flower arrangments as the green leaves go with most flowers and will last about 2 weeks in a vase. 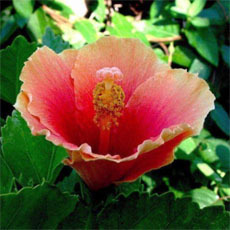 The flowering part of the plant is seperate from its follage. It will be a long 1-3 foot stem with a cluster of 3-7 flowers. The folage is shorter than the flowers, from 6 inches to 1 1/2 feet. When the leaves turn yellow, go on and pick them, as this will encourage new growth. When you pick them, yank them, don't cut them, as this will seperate the old flower/greenery from the root itself.